State run telecom major, BSNL launched a new unlimited voice calling offer @ just ₹99 with 20 days validity. As per the latest information, the new STV 99 will be available to all existing and new BSNL prepaid mobile customers in Kerala circle with effect from 01-05-2018 on wards. 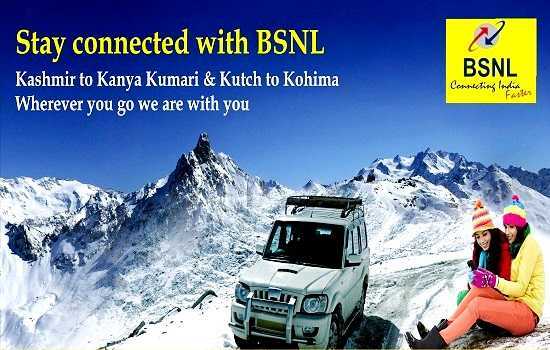 This new pack also offers free BSNL tunes without any additional cost. As we reported, BSNL launched this scheme - Unlimited Voice STV 99 - in other telecom circles earlier in February 2018 itself. Now BSNL Kerala circle also launched this scheme because of the increasing demand from customers and to face the stiff competition from other private mobile operators. Dear readers, please share your views and opinions about the launch of new unlimited voice calling offer @ Rs 99 via comments with us.